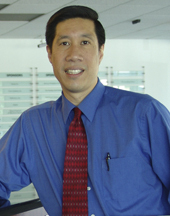 Dr. Chin’s substantive interests include modeling the individual IT adoption process, end-user satisfaction, and developing group process measures such as cohesion, satisfaction, and consensus to understand the impact of electronic meeting systems, and employee stress and turnover. His research is largely empirical and quantitative relying on lab and Monte Carlo experiments as well as surveys. Methodologically Dr. Chin focuses on construct development through the use of structural equation modeling (both covariance-based and partial least squares) as well as developing new causal modeling techniques for topics such as assessing interaction effects.